The singer is on the road in America with his bandmates, but seemed to confess to his Twitter fans that he is missing home. He said: "Just had the most wicked dream whilst I was in my tour bus bunk. "I woke up on the same bus and we had stopped and when I got outside we were doing a show on a field by my old house, miss you little house." It seems Liam - who will be Stateside until October - is also getting fed up of American television. He posted a selfie on Instagram which showed him looking fed up and wrote: "Getting bored of American TV advertssssss x10,00000000000000 looonnnnnnnngggggg???" 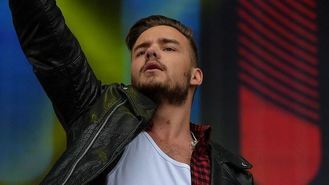 Liam's pop star career has left him feeling homesick on other occasions. Last year it was reported that he ranted online about fans calling the boys' hotel room and keeping them up, but later said sorry for being grumpy and explained he was feeling sad about being so far from home. He tweeted at the time: "I just wanted to say sorry to anyone who was p****d at me the other day I was just tired and having a bad time, I just miss home a little bit at the moment so please don't think I'm moody or off."